Our Tiny feet guest book is very pretty. On the front it says be my guest. 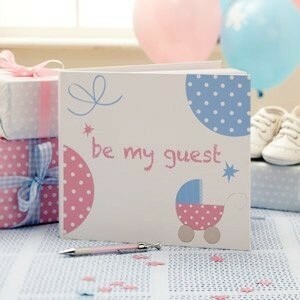 Great for your guests to leave you messages and for your baby.